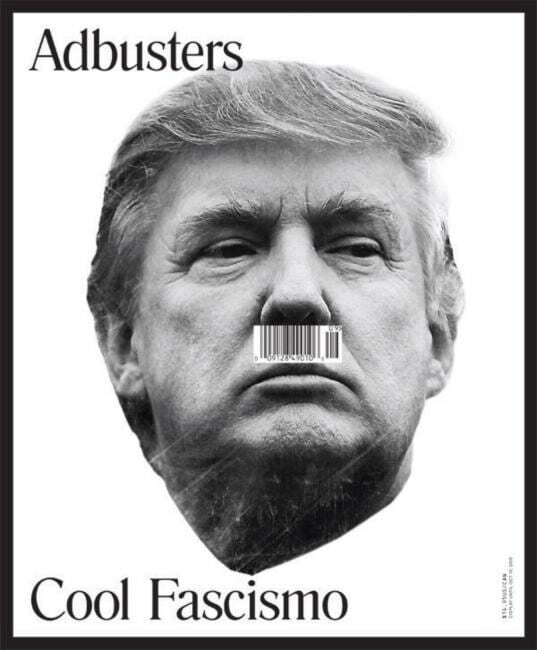 trump cover Adbusters: "Journal Of The Mental Environment. 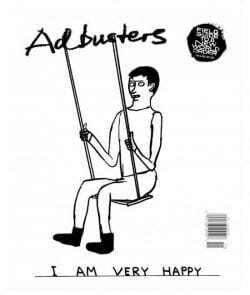 It's an activist magazine with a circulation of 120,000 devoted to numerous political and social causes. We wake up each morning with the horizon of a new world in our heads, on fire and vowing to live without dead time. 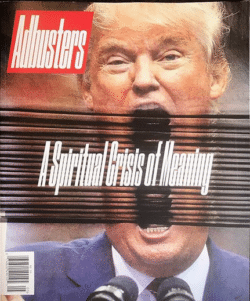 So we’re changing the way information flows, the way corporations and governments wield power, and the way meaning is produced in our world. Every damn day."